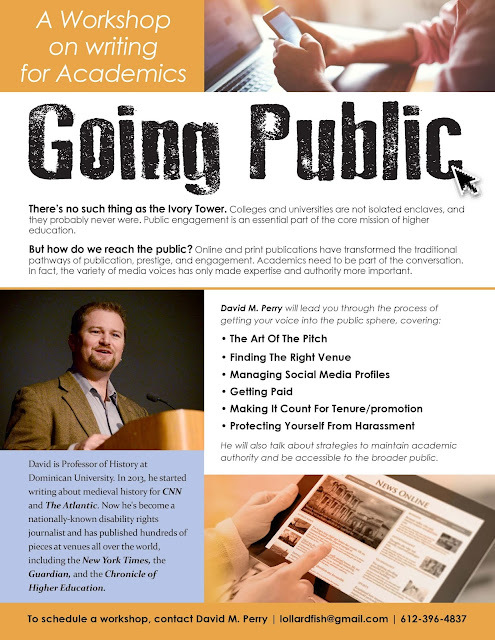 I'm heading to Macalester College to teach a public writing workshop today. Hey, I could come to your college or university and teach one! I offer them to both faculty and graduate students, or both together! at the "Speaking" page above.